Where in the world is Jenny Woodenmum? : Yee haw cowboy ! Taking part in a rodeo - that horse looks more like a My Little Pony than a bucking bronco, luckily ! LMAO! What a great imagination! 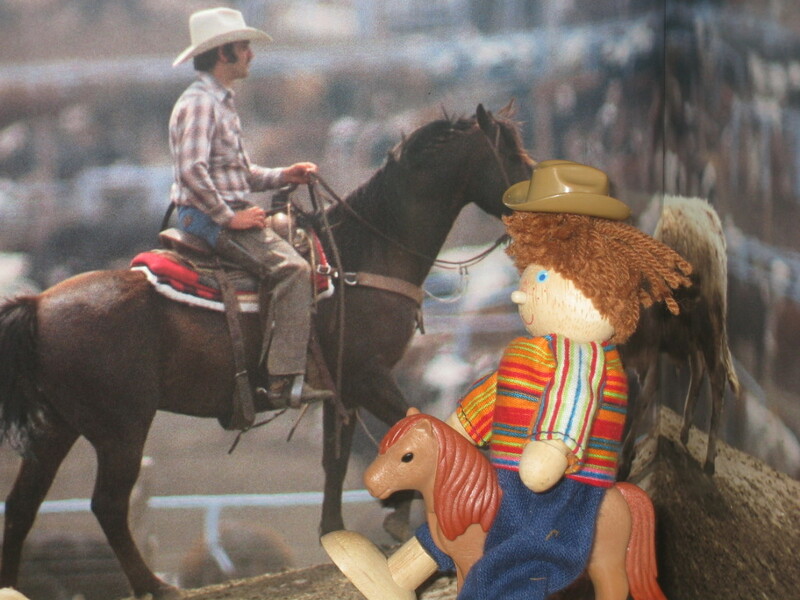 My dream to be in a rodeo! How much fun can you have with a magazine ? !